The N.Y. Department of Transportation cited the limousine for brake failures. 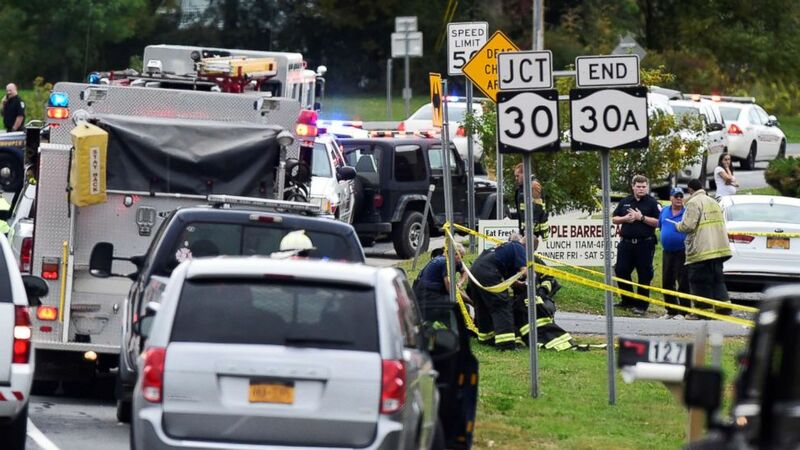 camera (Peter R. Barber/The Daily Gazette of Schenectady, N.Y.) The scene of a deadly limousine crash in Schoharie, N.Y., Oct. 6, 2018. The citations included “brakes out of service” and "brake connections with constrictions under vehicle," the records show. When the limousine was re-inspected six months later, on Sept. 4, the state DOT noted its "failure to correct defects on previous inspection report." "As we understand right now, the inspections last month were minor things — windshield wipers, a latch on a window that needed to be fixed — and all those things were fixed," lawyer Lee Kindlon, who represents Prestige Limousines, said on "Good Morning America" on Tuesday. "The assertion that the limousine was cleared to be on the road following the September inspection is categorically false," a spokesperson for the state DOT said on Wednesday. "The vehicle was subject to inspections and the owner was warned not to operate the vehicle; the vehicle was placed out of service." 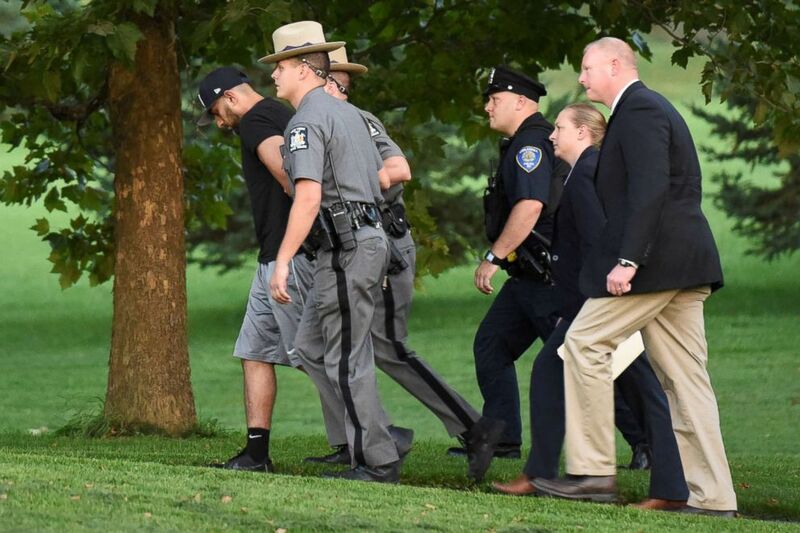 The driver of the limousine, Scott Lisincchia, had previously told his wife about issues with the vehicle, Richard Burke, the family's spokesman, said. Burke said Lisincchia's wife "told me that he had complained to her regarding the condition of some of the vehicles." 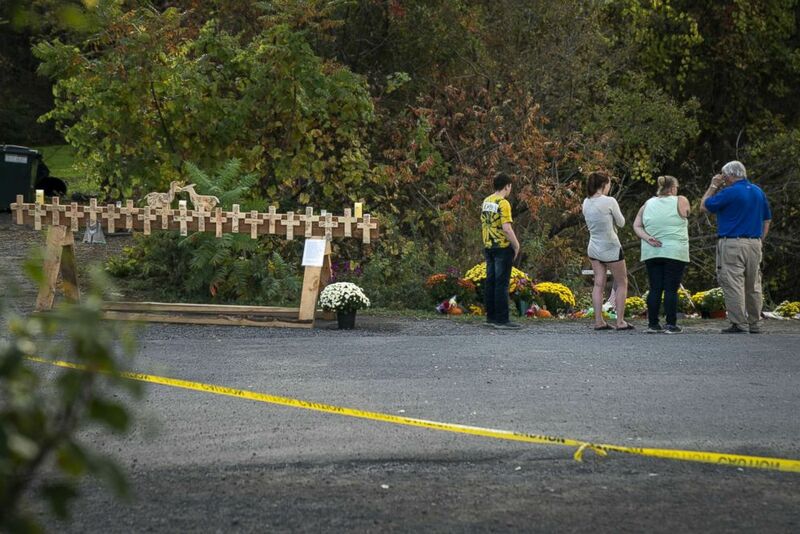 (Drew Angerer/Getty Images) Mourners visit the site of a fatal limousine crash that killed 20 people near the intersection of Route 30 South and Route 30A, Oct. 10, 2018 in Schoharie, New York. "In fact, they said that one time he was driving one of the vehicle’s and a muffler fell off with clients in the car and he had to stop the car, get out of the car, remove the muffler and move it to the side of the roadway," he said. (Cindy Schultz/Reuters) Nauman Hussain left, the operator of a limousine company that owned the vehicle involved in a crash that killed 20 people in upstate New York arrives for his arraignment at Cobleskill Town Court in Cobleskill, New York, Oct. 10, 2018. The district attorney said there were suitcases in the car, though Hussain's defense attorney said he feared death threats. Investigators aren’t sure whether to believe that.